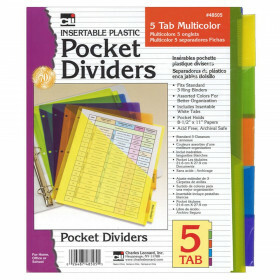 When you're trying to sort school notes and papers, you need a tool that will help you divide and conquer. 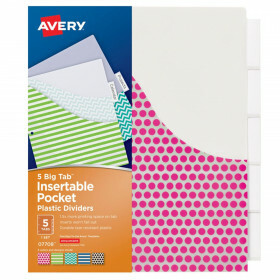 These Pockets 'n Tabs Insertable Dividers let you keep every paper in its proper place and provide a convenient pocket to hold 8-1/2" x 11" papers, CDs and more. 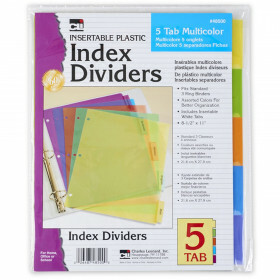 The inserts slide easily into the dividers' clear plastic tabs to let you identify sections at a glance. Reinforced tabs and edges resist tearing in your three-ring binder to help keep you sorted for the long haul. 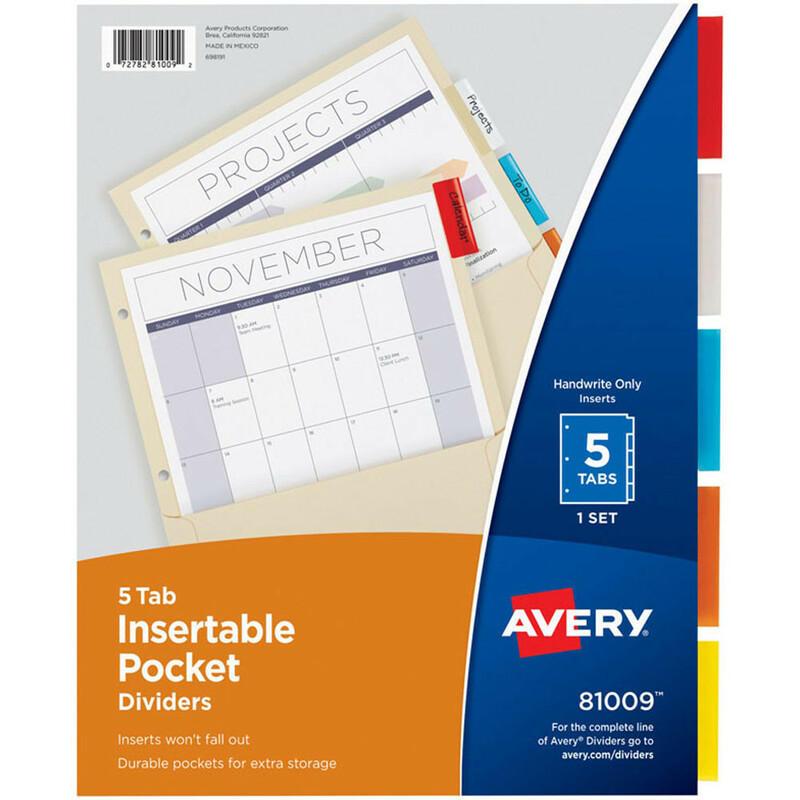 See all of the Avery Products Corp products we carry in our classroom supplies manufacturer section. Looking for something similar? 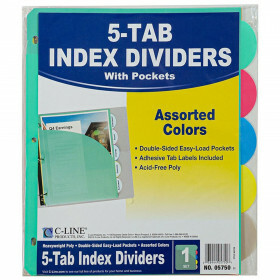 View our Dividers or Supplies sections to find more classroom supplies items similar to Pockets N Tabs Insertable Dividers 5 Tab Set. This item may also be listed in our educational supplies store catalog with item IDs AVEAVE81009.